Thank him! Thank the moderate problem-solving bipartisan independent hero! 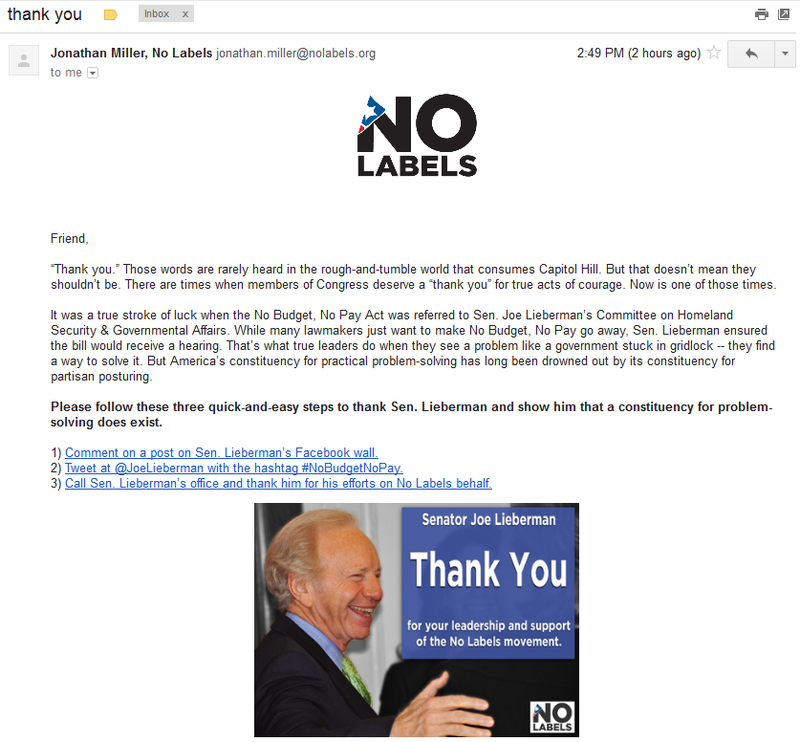 No Labels, the 501(c)(4) founded and run by longtime political operatives dedicated to nonpartisan political "problem-solving" through endless moralist posturing and symbolic nonsense, sent an email to its subscribers today with the subject line "thank you." 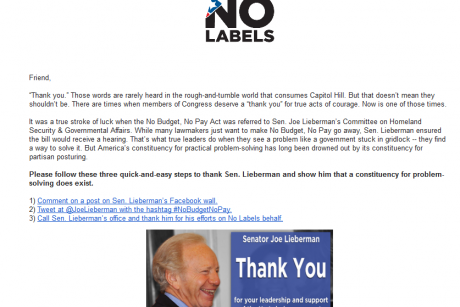 They were not thanking me (or you), though, but Sen. Joe Lieberman, the independent from Connecticut. Lieberman apparently agreed to give some No Labels-supported bill a hearing at the Homeland Security & Governmental Affairs Committee. The bill would deny salaries to members of Congress in the event that they fail to pass budgets on time, because that will definitely make the comfortable millionaires in Congress work together. So go thank Joe Lieberman for his leadership, on his Facebook page!